Burger King and Crispin Porter + Bogusky have commissioned Stacy Peralta, director of Made in America, to document Whopper Virgins, people who taste Burger King Whoppers for the very first time. 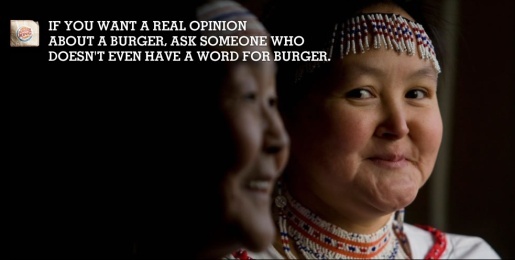 The documentary, to be aired on December 6, online at www.whoppervirgins.com, will show people without American bias taste testing the Whopper alongside the McDonald’s Big Mac. Burger King travels in 13 planes, 2 dog sleds and 1 helicopter over 20,000 miles to find people who have never heard of the WHOPPER and perform the world’s purest taste test. Locations visited include a remote hill village in north Thailand, a rural farming community in Romania and icy tundra of Greenland. The site features a countdown to the airing of the documentary, along with an avant garde exotic composition for Pan pipes and recorder music. Duncan Riley, blogging at Inquisitur, says it doesn’t get more offensive than this. “It’s hard to place exactly where this begins on the level of wrongness”, he says, questioning the ethics of visiting poor people in remote locations, some who would be at best surviving on below poverty levels and throwing a burger in their faces. Brian Morrissey at Adfreak suggests the campaign is more embarrassing and emblematic of how ignorant Americans still seem to the rest of the world. David Griner twitters about how difficult it might be to deliver fresh burgers to remote regions. 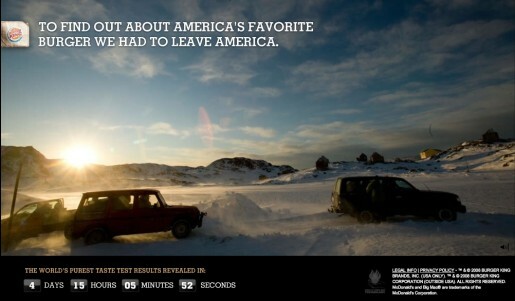 30 second teasers have been launched on American television, inviting visitors to the site. What happens if you take Transylvanian farmers who’ve never before eaten a burger and ask them to compare a Whopper versus Big Mac? 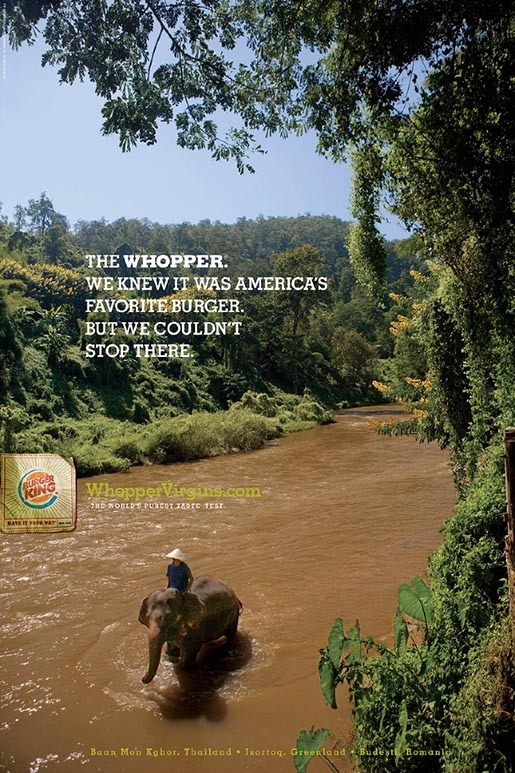 The Whopper Virgin campaign was developed at Crispin Porter + Bogusky by executive creative directors Rob Reilly and Andrew Keller, creative directors Bill Wright and James Dawson-Hollis, associate creative director Paul Caiozzo and Ryan Kutscher, senior art director David Swartz, senior copywriter Andrew Ure, art director Surf Melendez, director of integrated production David Rolfe, integrated head of video Matt Bonin, senior integrated producer Anthony Nelson. Photographer was Sterling Lorence. Filming was shot by director Stacy Peralta via Non Fiction Unlimited with director of photography William Rexer. Editors were Chan Hatcher, Jason Macdonald and Dan Aronin at No6 with executive producer Crissy deSimone. Finishing work was done at Riot by Flame artist/colorist Mark Dennison. Graphics were produced at Blind by creative director Tom Koh, graphic designer/animator Paul Kim, graphic designer Sekona Kong. Audio post production was done at POP Sound by executive producers Michael Degan and Loretta Jeneski, producer Nadine Brown. Music was produced at Amber Music by executive producer Philip Mossman, executive integrated music producer Bill Meadows and mixer Zac Fisher.